I’m posting this here partly so I don’t lose it. 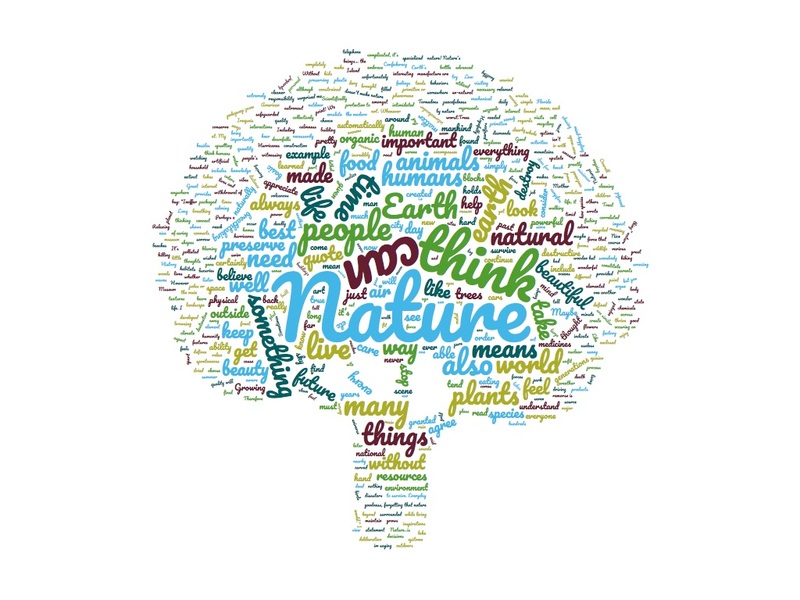 This is a wordcloud of my online ecocomposition students’ first thoughts on what nature means to them. It’s also my first time using the free generator at WordClouds.com. 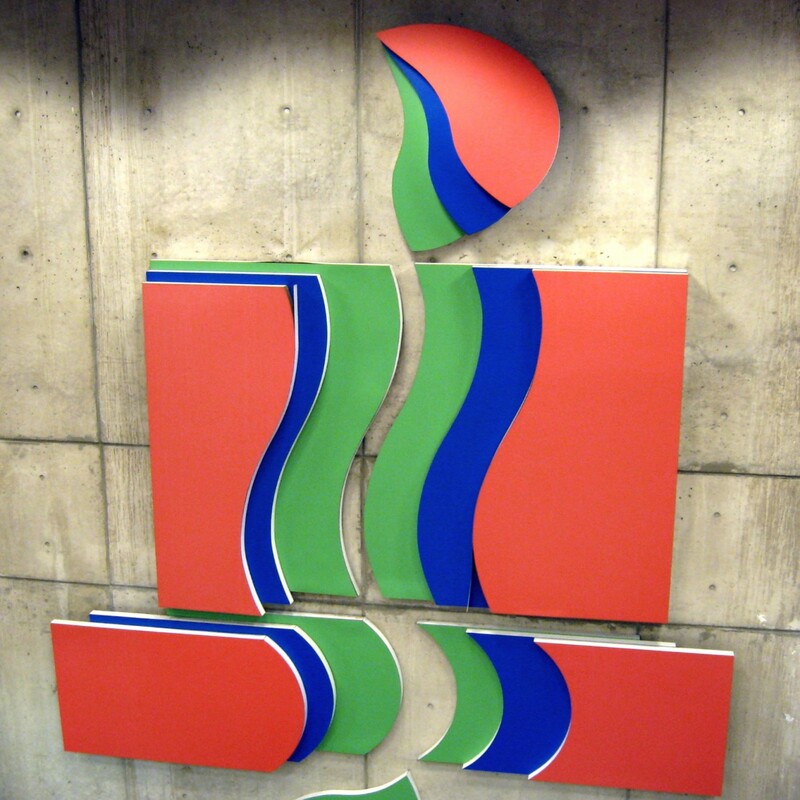 Abstract: Nassau Community College on Long Island, New York is adjacent to Hempstead Plains, a preserved parcel of the native grass prairie that once covered the entire island. Using this nature preserve as an active learning site, students write about both their firsthand experiences of the plains and its denizens and about the environmental issues affecting both the plains and their homes, such as the condition of the local aquifer, chemical threats to pollinators, and sustainable landscaping. They journal about their nature walks, about their research, about their writing, and about other nature journal writers like Thoreau. Much of the pleasure of the course comes in discovering and writing about environmental themes and issues in our own lives. The local and personal focus of the course works for these mostly first-year students as a bridge to college-level skills and habits of mind. Abstract: As a first-generation college graduate, I understand the importance of making my composition courses relevant to students’ lives outside of class. Furthermore, as an ecocritical scholar, I am painfully aware of the ways in which, historically, the environmental movement and nature writing in the U.S. have excluded people of color, including most of my students. These challenges, combined with the fact that I am a white woman, mean that I must teach my eco-composition classes with thoughtfulness and care, enabling my students to reflect on their personal relationship with the environment through writing. On the first day of class, I ask students to freewrite on what environmentalism means to them, and many identify it as a cause reserved for middle- and upper-class people. Rather than refute this idea, I introduce students to a diversity of readings, some of which subtly assume a white readership and others which seek to expose that assumption. For instance, when analyzing food justice literature, students read Michael Pollan alongside A. Breeze Harper, who argues that vegans of color have been excluded from food movement narratives. Each student explores such contradictions through her writing, evaluating rivaling positions in email exchanges with an assigned peer. As students’ views continue to evolve, they move from considering other writers’ arguments to formulating their own. For example, in an online discussion of “green advertising,” students create a dialogue between themselves and Julia Corbett, who claims that no American product can be environmentally sustainable despite its advertising claims. Writing tasks like these challenge students to go beyond mere reading comprehension—to extend the writers’ arguments and to develop their own. The course culminates in a highly personal research project, which asks students to apply their newfound environmental knowledge to their own experiences, investigating an environmental injustice in their own hometowns. In the past, students have written about chemical waste plants, fast-food chains, and pesticides to which they or people they know have been exposed. Through the project, students not only gain invaluable research skills but also engage with environmental issues in a personal, direct, and meaningful manner. Abstract: In partnership with the Stanford EPIC program – Educational Partnership to Internationalize the Curriculum – the Foothill Community College Honors Institute has launched an ongoing climate-change-across-the-curriculum initiative designed to engage students, faculty, and community members in catalyzing meaningful conversations focused on the study of climate change discourse in the Anthropocene. Located in the heart of Silicon Valley, this emerging Climate Change Learning Community is based in our Composition Classes (at the English 1A Introductory, English 1B Intermediate, and English 1C Advanced College Writing levels). Each course level foregrounds a different set of approaches to the Climate Change debate: At the English 1A Introductory level, students read non-fiction books and articles from the realms of psychology, politics, and sociology; at the Intermediate level students combine Critical Thinking and Literary lenses to analyze a range of works from Cli-Fi novels to contemporary poetry; and at the Advanced Comp level students grapple with STEM/Biology-focused non-fiction science writing from their own emerging academic perspectives. All three classes are supported by an ongoing Climate-Change-across-the-Curriculum Lecture Series that draws on expert speakers from local universities and community organizations (including Stanford, the UCs, and CSU systems), ranging from prominent Native American, Asian American, Queer, and Latino/Latina activists and authors, to Environmental Studies professors, to corporate Fossil Fuel Divestment advocates from Apple; to anti-Slavery campaign leaders based in the Bay Area. Foothill faculty from an equally wide range of disciplines—including Mathematics, Engineering, Biology, Political Science, History, Economics, Art, and Photography—have partnered with these Composition classes through informal drop-in classroom visits, combined-class meetings, staff development events, and social media blogs, Facebook pages, and online video projects. In each class students complete a capstone Civic Engagement Project aimed explicitly at engaging a wider audience beyond their own classroom in similar dialogues—and on reflecting at a meta-cognitive level on their successes and frustrations in drawing peers, politicians, and local community members into meaningful dialogue in the public sphere. To date this pilot program has far proven remarkably effective in re-engaging an often-complacent, overwhelmed, disengaged, and relentlessly-GPA-focused student population in truly meaningful and often transformative discussions about truly high-stakes, controversial, real-world issues in ways that empower rather than silence the emerging voices of student writers from an astounding variety of economic, ethnic, religious, cultural, and linguistic backgrounds. In keeping with Stanford’s EPIC Program’s focus on “internationalizing the curriculum,” Foothill’s program has also proved unusually successful in bridging the gap between our local California students and Foothill’s large international student population. At the culmination of the academic term, readings and research papers in all three classes converge on the Central Africa—from the perspective of contemporary slavery in Kevin Bales’ Blood and Earth: Contemporary Slavery, Ecocide, and the Secret to Saving the World (2016); Terry Tempest Williams’ Finding Beauty in a Broken World (2008); and Elizabeth Kolbert’s The Sixth Extinction (2014). The purpose of this panel is to share experiences and ideas about teaching eco-composition to community college students. Although panelists have different approaches and emphases in our work, we share the conviction that ecocomposition is timely and relevant in the Anthropocene. Pedagogically, eco-composition enables students to draw on their background knowledge and build connections between their personal, professional, and academic lives. Eco-composition has a history and scholarship; one might consider it a special interest group within the burgeoning field of ecocriticism. Early work appeared in Christian R. Weisser and Sidney J. Dobrin’s edited collection Ecocomposition (2001), and their co-authored monograph, Natural Discourse: Toward Ecocomposition (2002). The Association for the Study of Literature and Environment (ASLE) has a network of members engaged in eco-composition who have in the past billed themselves as ASLE-CCCC and now can be found online at blogs like Planetary. The specific focus of this panel is the powerful connection between the pedagogical aims of eco-composition and the pedagogical philosophy of community colleges. Today, all higher education faces a greater push for accountability and relevance, but community colleges in particular are disciplined for degree completion agendas, job readiness, and student engagement/retention. Eco-composition is ideally suited for high engagement teaching practices like active learning, multimodal learning, service learning, interdisciplinarity, and community outreach. Community college students are in general less wealthy, less privileged, and less prepared than their university counterparts. They are often parents and full-time workers; many speak English as a second or third language. They are the people working “green” jobs in construction industries, sanitation, and landscaping. Their communities are most affected by pollution and smog and traffic. Most of the previous scholarship on eco-composition addresses the classic first-year composition course at a university level. This panel will be an opportunity for community college teacher-scholars to share their insights and experiences meeting the needs of our student populations. Our panel topic engages directly with the presidential theme of boundary conditions. Ecocomposition confronts disciplinary boundaries, physical boundaries, and importantly the socially conditioned educational boundaries of community college students. Hardhit by austerity, community college faculty and students find sustainability a political necessity as well as an environmental practice. Writing and learning about the sometimes perilous, sometimes imperilled environment is a study of boundary conditions. We hope that this panel will provide a space for further conversation about eco-composition in the community college context. Did you come here looking for the information on the community college ecocomposition panel happening at MLA2017? I will have it posted by close of business on Friday. The week got away from me.